It’s wonderful that so many healing modalities exist in the world today, as more and more people awaken and raise their consciousness. Energy healing has been used for centuries, however, as a culture, we’re now more open to embracing the benefits ourselves. The ThetaHealing® technique is one such modality emerging in our communities and changing the lives of millions. ThetaHealing is a multi-disciplinary approach to energy healing in the sense that it combines science, meditation, psychology, and spirituality to offer clients instant life-transformations, that last. A ThetaHealing practitioner lovingly guides a client through their subconscious mind to get to the root of the issue at hand so it can be addressed once and for all. 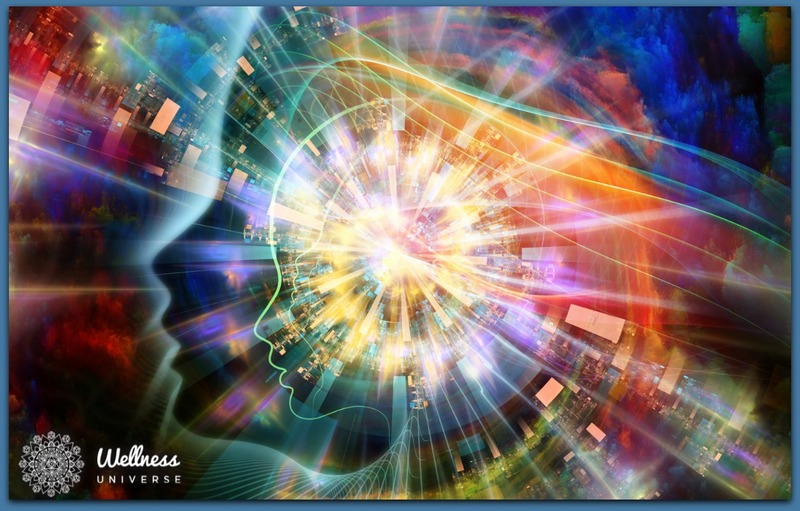 Utilizing the power of deep theta and delta brainwaves, a practitioner aligns and connects with the Creator of All That Is, God, The Universe, Source Energy to initiate a healing on the client’s behalf. Creator, God, The Universe, Source performs the healing directly on the client’s energy, while the practitioner witnesses the transmutation. This technique can be applied to any experience or area in life where you wish to experience a shift for the better. That is actually the biggest benefit of ThetaHealing; it gets life energy moving and flowing once again, in a very consciously applied manner. We’ll cover more on that in benefit number one below. Ready to jump in and discover? Let’s go! Helps You Get Unstuck and Move Forward in Life. Do you find yourself repeating the same patterns over and over and you can’t seem to figure out how to get around it or break the cycle? Are the same characters following you around in life, even when you relocate? There’s a reason! You’re supposed to be learning something from them. The ThetaHealing technique guides one to see the patterns and core of the issue, but more importantly, what their soul is trying to learn through having the experience. Once a client sees what purpose the experience has, what it’s teaching them, and how it has made them a better person, the “lesson” is over. The energy is shifted to a higher vibration, thus creating a new feedback loop and the ability for the client to move forward with greater ease and joy. In other words, the cycle is broken for good because the belief system has been changed permanently on the subconscious level. The process just described can actually affect the mental, emotional, spiritual, and physical levels. So let’s continue to the physical benefits. Shifts the Body from Dis-ease to Well-Being. Through the will of God, Creator, Source, The Universe, physical illnesses and disorders of the body, both internal and external, can be healed to total wellness, to the extent that the client’s beliefs allow. Many people experience miraculous healings right before their eyes, while others accept a healing more gradually. It’s whatever is for the Highest Good of the client, which is between the client and Creator. The founder of ThetaHealing, Vianna Stibal, healed a 9-in tumor on her leg right before her own eyes with the very method she teaches to thousands all over the world. She and those she trains witness miraculous healings on a very frequent basis. ThetaHealing has the power to remove chronic pain from the body, calm the nervous system, drastically speed up recovery time, and heal everything from broken bones to mental health conditions. It can be applied to every organ, tissue, and system of the body to promote and enhance well-being and vitality, our natural state of being. Essentially, the ThetaHealing process allows the mind and body to become open to receiving healing energy from Creator, so the body can repair itself in the Highest and Best way. The illness or condition always carries with it a lesson or a virtue to learn from it. Once it is fully addressed at the core level, in the subconscious mind, the client will have a choice whether they wish to keep the illness because they like the purpose it serves or release it because it has served its purpose and they are ready to move on. Heals Trauma of Any Kind. Trauma, and more specifically, the emotions of the traumatizing experience are held within the body, under layers and layers, like an onion. Through a series of gentle sessions, clients are able to let go of the pain they’ve carried for so long, layer by layer, until they are ready to see the truth beneath it all. When traumas are healed through this technique, a client can walk away completely shifted into a new, more empowering reality. Any emotional trauma released during a session also has a positive effect on the physical body. A client will begin to feel better in their body and mind and often notice immediate changes, even on a subtle level. They will eventually find that they are no longer triggered at all. It’s clear there are far more than 3 benefits of ThetaHealing, and they all ripple out into one’s life infinitely, lasting a lifetime and beyond. Be sure to do a keyword search on The Wellness Universe if you are interested in finding a ThetaHealing Practitioner to guide you through your own healing experience or show you how you can become certified too.